Welcoming this beautiful Teak Root Side Table Trunk Square Glass. 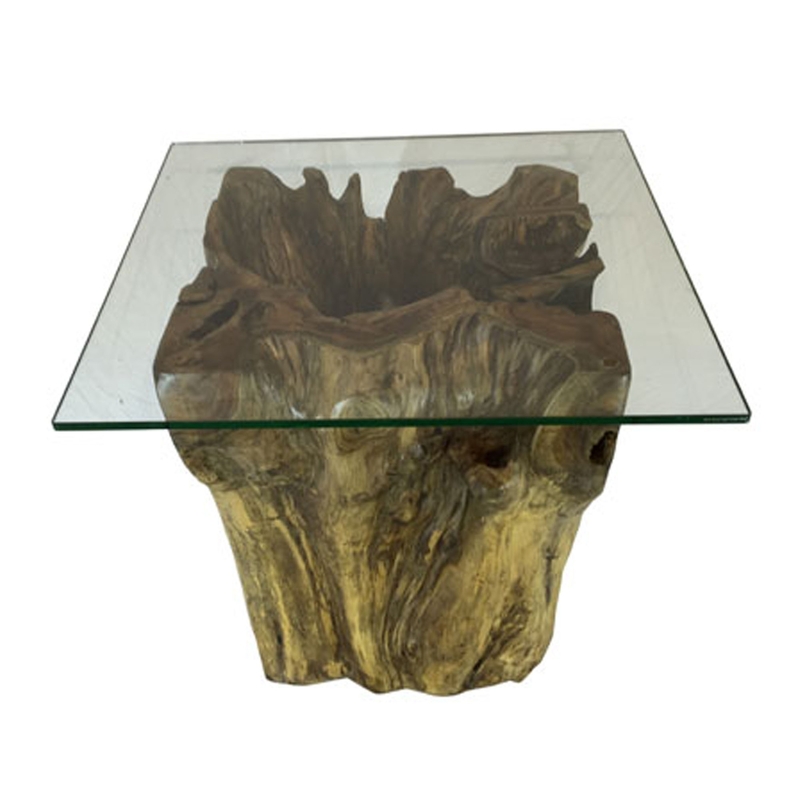 This piece contains a base that is created from a combination of teak root, this base is crafted to resemble a tree trunk. This base then holds up a square glass surface, combining with the base to create a very stylish piece.